Pheeeew... finally done! Though I won't be able to put this online until in 2 weeks. It's a wedding gift for my aunt, after all, who'll get married on october 6th - even though I'll have to give it to her one week before that. I won't be able to attend (a very good friend's wedding happens to be the same day, and we promised to go to that one before we knew my aunt would be marrying the same day), so I hope this kind of makes up for it. So, yeah. This pic took me over 20 hours of work. Twenty. Hours. I'm so glad I finally finished it - and quite proudly so, I must say. I do hope my aunt and her future husband cherish it! 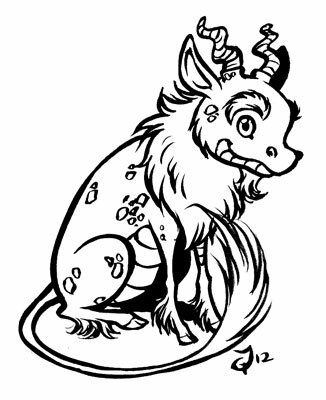 As for the motif, I wanted to paint a qilin. It's a chinese mythical creature supposed to be a sign of good luck and protection and longevity (and the arrival of a wise leader, but that's irrelevant now XD ), and since my aunt moved to China a few months ago, I though it was fitting. Hydrangea flowers are also a symbol, according to this site, for "expressing love, gratitude, and enlightenment." Plus, they're native to China and seem to grow close to bamboo forests. And they're pretty. Very creative and interesting too....Really i got impressed in this..